In the first centuries of the Common Era, an eclectic collection of plain and embellished underground and aboveground tombs filled the cemeteries of the Roman province of Syria. Its inhabitants used rituals of commemoration to express messages about their local identity, family, and social position, while simultaneously ensuring that the deceased was given proper burial rites. 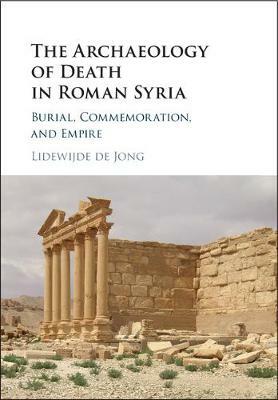 In this book, Lidewijde de Jong investigates these customs and the belief systems that governed the choices made in the commemoration of Syrian men, women and children. Presenting the first all-inclusive overview of the archaeology of death in Roman Syria, this book combines spatial analysis of cemeteries with the study of funerary architecture, decoration, and grave goods, as well as information about the deceased provided by sculptural, epigraphic, and osteological sources. It sheds a new light on life and death in Syria and offers a novel way of understanding provincial culture in the Roman Empire.